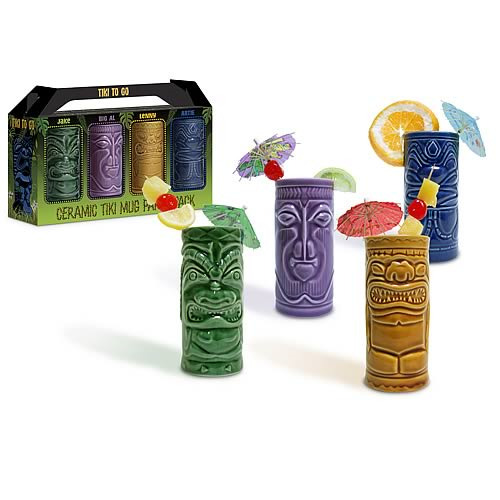 Ceramic Tiki Mug Party Pack. This colorful set of four different 10 ounce mugs comes in an illustrated window box. Each mug measures 5 1/2-inches tall.